Asthma is a condition causing severely restricted breathing. Airways are narrowed by muscle spasms, swelling, and excessive mucus in the airways. Asthma treatment medicine typically acts to relax airway muscles, reduce inflammation, or lessen allergic reactions causing the symptoms. Quick-relief asthma medicine aims to reduce symptoms and provide relieve immediately when an attack occurs. Long-term control medicines for asthma work on changing underlying physical conditions to prevent asthma attacks occurring. Anti-allergy medicines address allergy specific asthma. If the allergies which cause certain types of asthma are under control, then asthma attacks will reduce or cease. Homeopathic medicines should be considered as a complementary and not a primary treatment. Many homeopathic remedies can treat the underlying cause of asthma and may help to gain long-term control of asthma symptoms. 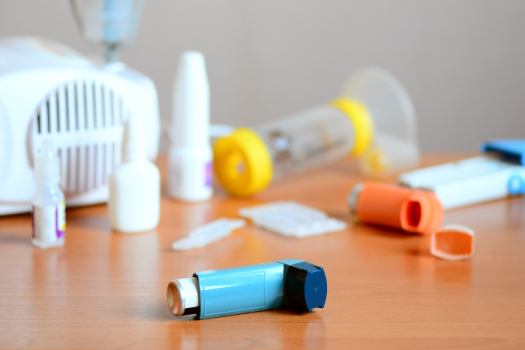 Even if asthma is considered under control, suddenly immediate medical relief prescribed through medical consultation should always be available. The cause of asthma is unknown; however, what is usually present and can be determined, is a trigger. Asthma is normally not permanently present but may be triggered by pollens, certain foods, stress, exercise, or illness. Asthma triggers are different for each person. Once the trigger is known, avoiding exposure can bring asthma events under control, reducing the need for long-term medicine. As stated above, short-term relief type medicine should always be readily available for asthma sufferers. Finding what triggers asthma and what medicines prevent attacks long term is key for asthma control. Consulting a doctor is important to determine what short-term relief and long-term control options are available for your specific type of asthma. Chiropractic and nutritional advice can be approached as a supplemental treatment to traditional asthma medicines. Realignment of the nervous system has helped some patients relieve the occurrence of asthma muscle spasm events. Nutritional guidance may help relieve asthma causing allergies.